I could not even come up with a catchy title to this post. The objects I have photographed are not conducive to catchy buzz words. 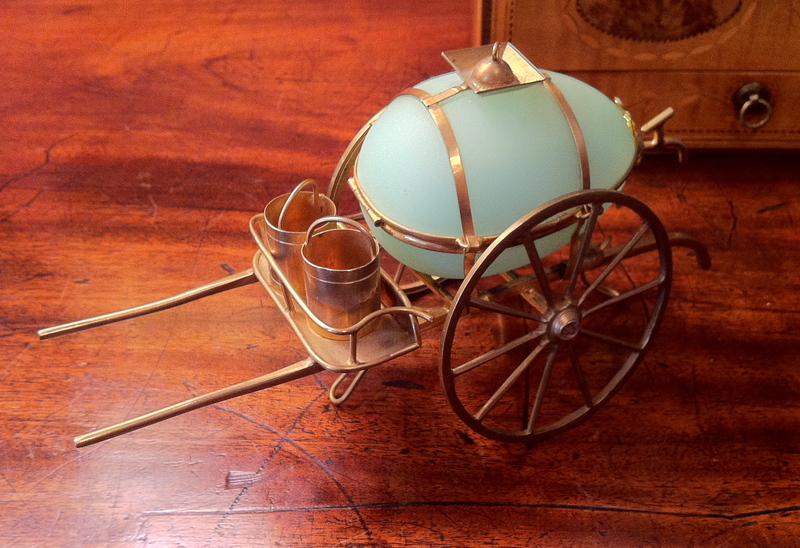 If one were so fortunate (as in, had access to great fortune) to make the Grand Tour in the eighteenth and early nineteenth centuries, one would want to bring back a souvenir from the travels. In Paris, a visit to the Palais Royale would be high on the list of any young lady or Madame of good taste. The shopping was unique and of high style. Louis Phillipe was the ruler at the time when the gardens and buildings were opened to the public for the first time. 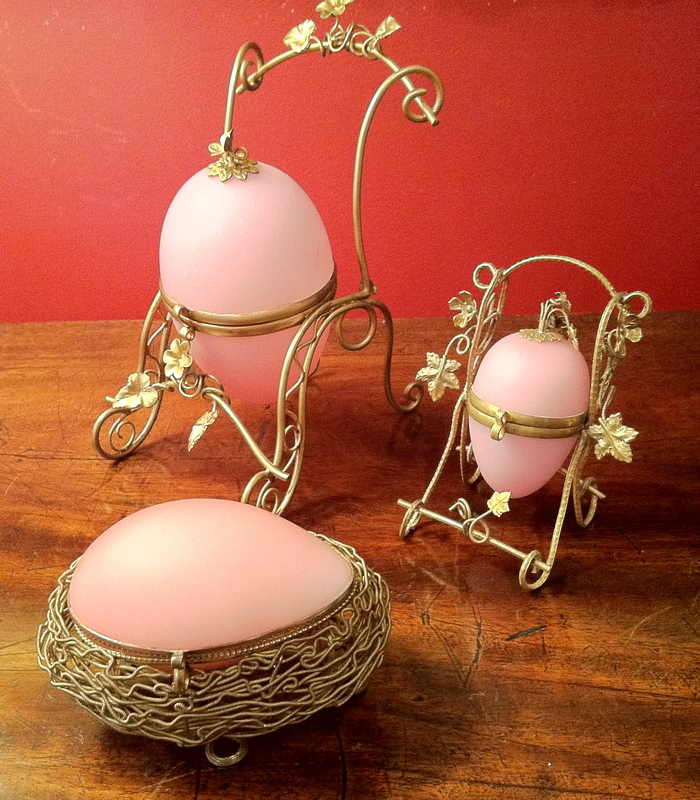 Imagine seeing beautiful opaline eggs in many colors in one of the small boutiques, and how fascinated one might be with the intricacy of the ormolu mounts and the beautiful gilding. 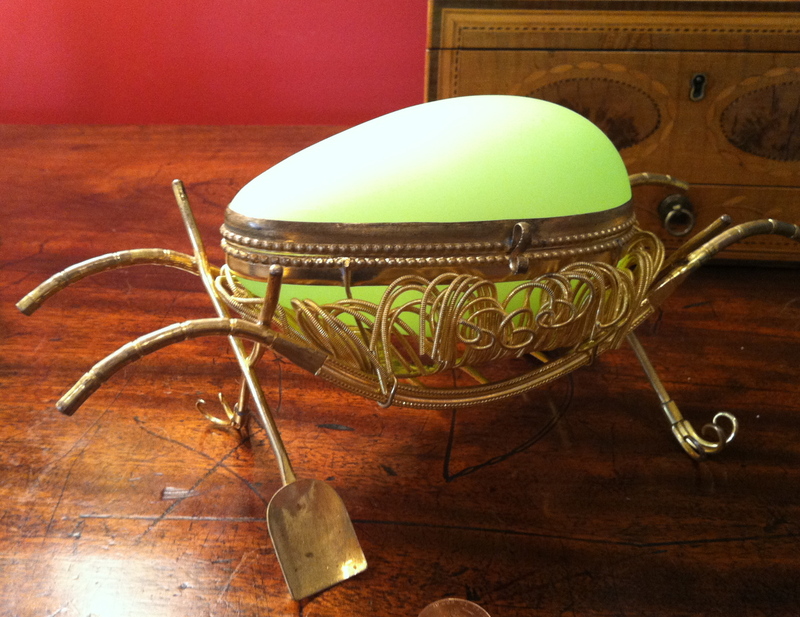 Just as in the early 1800’s, there are collectors who covet these whimsical eggs but they are not so easy to find, especially unusual forms such as this. 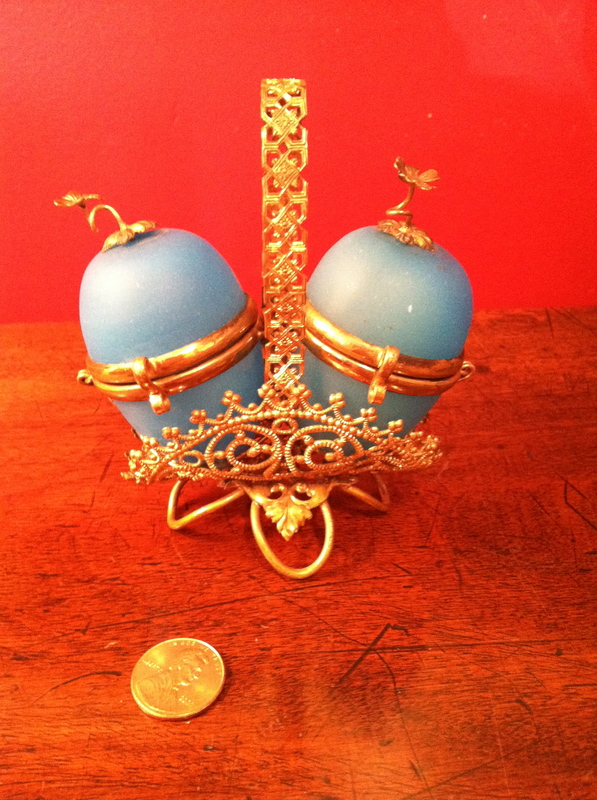 You will find some that are trinket boxes or jewelry holders and others that hold beautiful perfume bottles. 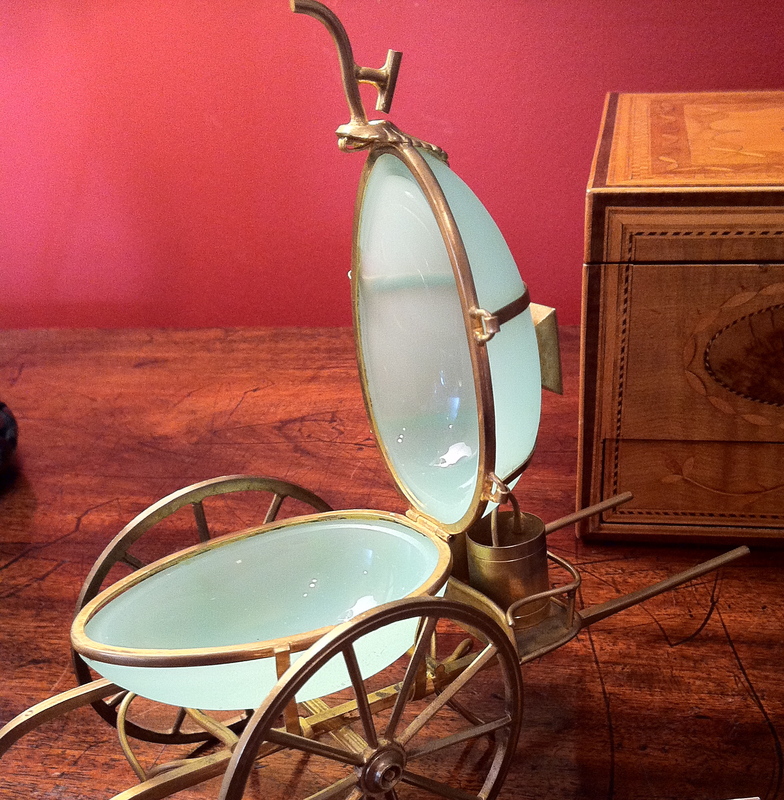 No longer utilitarian, they still remain one of my favorite curiosities. 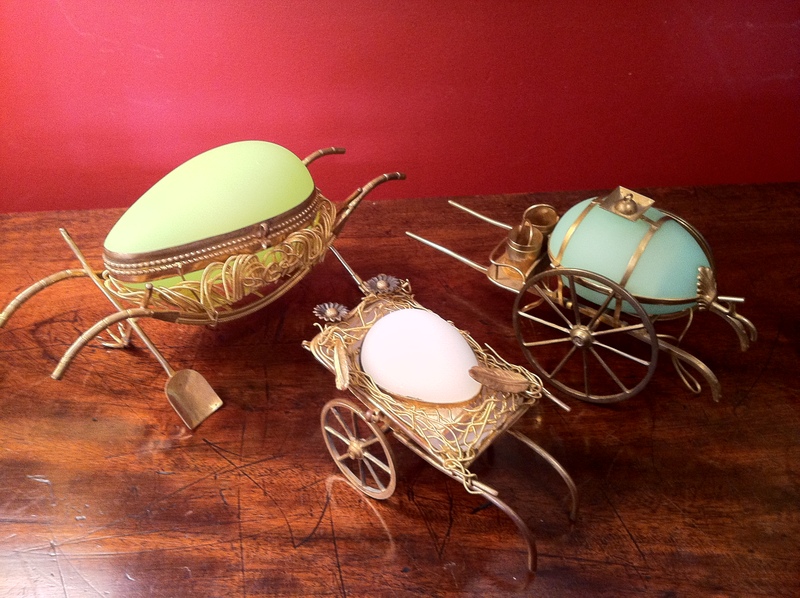 They are stunning – present day Faberge eggs!